While it's fun to have family and friends over to watch the Seahawks, there's something about hanging out in a sea of blue and green that makes screaming at the television that much more thrilling. Cheer together and swap high-fives with strangers after an amazing play. Console each other after an unfortunate interception. Bonding over a common sports team with a room full of strangers is an experience many fans want to share with their kids. But where to go? 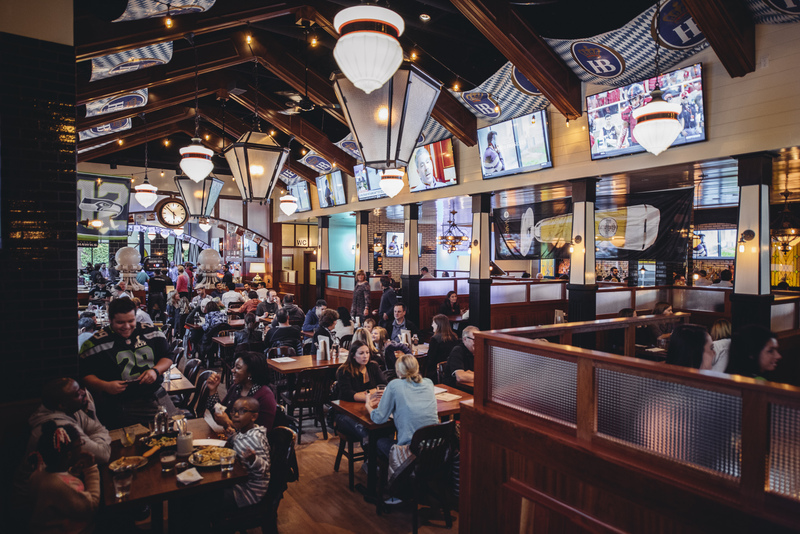 Here is a list of pubs, play spaces and other spots that make it easy and enticing to bring along the kids and share that 12th Man legacy with the next generation. Editor's note: We recommend calling ahead to any venue to confirm that the game you want to watch will be on. 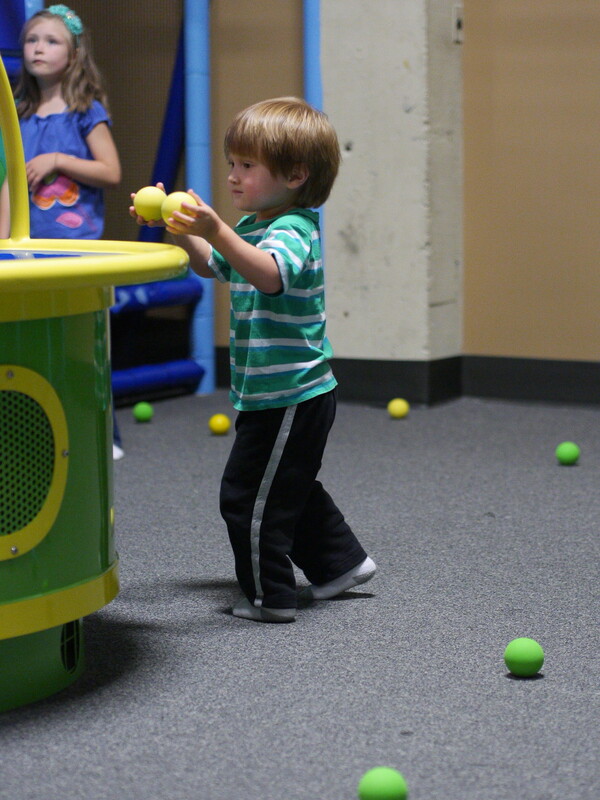 Head to this huge play space in downtown Seattle (near REI) to send your little ones on their way to run, climb, and jump on a huge, multi-level play area complete with slippery slides and ball blasters while you sit down at a table and take in the game on any of the large flatscreen TVs overhead. PlayDate SEA's play area has a single point of entry, which makes keeping track of the kids a little easier while you keep one eye on the game. PlayDate SEA offers a large and attractive menu, including healthy options as well as crowd favorites such as pizza and chicken wings. There are free refills on coffee, and beer and wine are also available (ask staff about the selection). Cost: On weekends, play prices range from $8 to $18 per child, depending on age and day of the week, for unlimited play. Touchdown! Staff make a point of turning the volume of Seahawks game up so you don't miss each important play. TVs are also located in each of the facilities' private party rooms. For the duration of the regular NFL season, PlayDate SEA offers free admission after 5 p.m. every Monday night for Monday Night Football. Head to this vintage-cool, dine-in theater in the Central District to watch the big game on the big screen. The cinema opens its doors to Seahawks fans for every regular season game, as well as post-season matches, should they come to fruition. You can order pizza, sandwiches, snacks and more, as well as grown-up beverages such as beer, wine and cocktails right from your seat. There's also organic popcorn with real butter. Cost: Admission is free for game viewing! The first 120 football fans to show up will get a seat. Touchdown! Dessert and Scrabble are available in the theatre lobby should a distraction be necessary. T. T. Minor Playground, at 1698 E. Union St., is three blocks over, if your kiddos need to stretch their legs. This local brewpub, which also has locations in Lake City and Burien, is a favorite with local families for its upscale comfort food, housemade beers, and an atmosphere that genuinely welcomes kids. Try the crispy-fresh Luna Weizen fish and chips, grilled Cuban sandwich or Elliott Bay steamers to accompany your your organic beer (Demolition IPA or No Doubt Stout are favorites). The kids' menu is reasonably priced and staff happily hand out coloring menus, complete with soy-based crayons. Plenty of high chairs are available and there are changing tables in both the mens and ladies rooms. Touchdown! 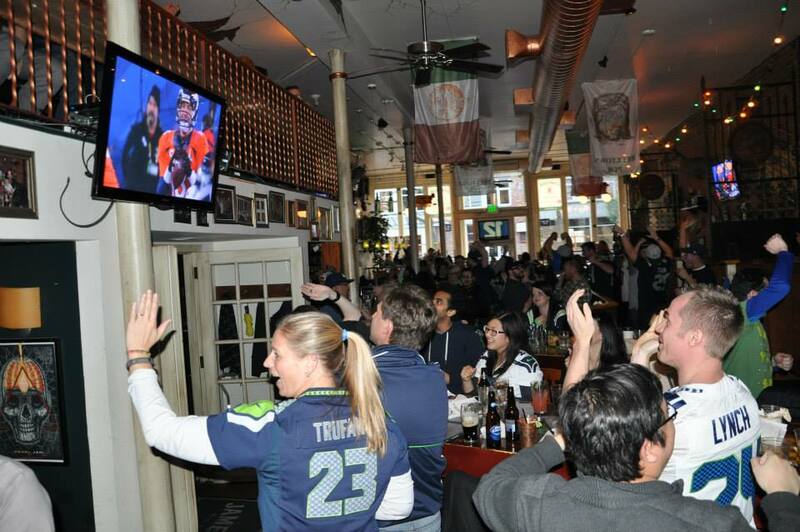 Seahawks, as well as other games of local interest, are always on, but the volume is muted as staff want to maintain the atmosphere of a low-key and pleasant restaurant/bar (don't worry, it is plenty loud enough for your kids' fussing to blend in). The West Seattle pub is conveniently located almost directly across the street from the West Seattle Farmers Market, open all year round on Sundays. Husky Deli (cones!) is also across the street. Headed to downtown Seattle? 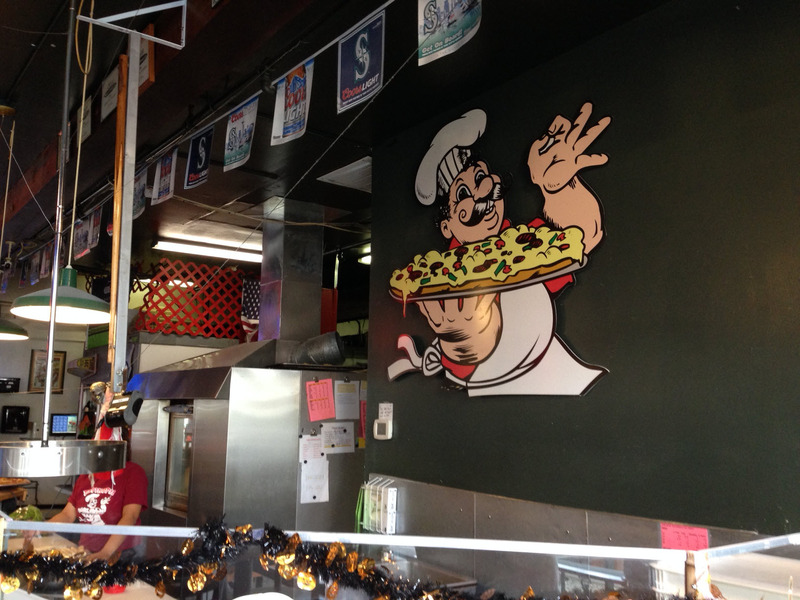 At game time, motor to this Belltown staple. Wherever you sit, including the den area or upstairs, there is a TV conveniently located so you don't miss any of the action. The upscale pub food options include mac gratin, steak frites and chicken and waffles; or order weekend brunch from 9 a.m. to 2 p.m. on Saturdays and Sundays. For kids and the non-fans in the group, the den area features a shelf full of board games. The pub also has a changing table in the ladies room. Touchdown! Kids need outdoor time? It's only a roughly five- to six-block walk to Olympic Sculpture Park, where you can run free and celebrate a win along the Seattle waterfront, or blow off steam over a loss. Does the name clue you in? This 15-year-old "classic American diner" in Kirkland's Juanita neighborhood is the kind of restaurant where staff know regulars – young and old – by name. And with seven large screen TVs and a sizable beer selection, it's also the place to be at game time. The sizabale menu includes all-day breakfast and The Game's nationally recognized Ultimate Nachos. The Game offers a $4.25 kids menu. Touchdown! Should your little ones' interest in football wane, there is also an assortment of board games including Candyland, Chutes and Ladders and Trivial Pursuit. Touchdown! Distractions in the mall include the soft-surfaced Kid's Cove on the third floor. Or simply take a walk on the skybridge leading to Lincoln Square and watch the traffic below. For Gen-Xers and those who grew up before wireless phones, this downtown Issaquah favorite harkens back to the pizzerias of the '80s, with old-fashioned arcade games and pitchers of root beer (or beer for grown ups) while you wait for your made-to-order pizza. Flying Pie also offers gluten-free crust and vegan cheese options for those with special diets. TVs mounted above ensure you don't miss any Seahawks action. There is also a beer and wine selection. Touchdown! An assortment of books and toys are on hand to entertain your little ones before the food comes. Issaquah's Veterans Memorial Field and park is just a block away if your little ones want a break. Right next door to Flying Pie is this pub, a great choice for families with older kids. Ten large flatscreens line every available wall space, with an additional screen outside in the patio area. The menu features classic American fare like burgers and sandwiches, as well as monthly specials menu with items like cabbage rolls and schnitzel. Weekend brunch is available from 11 a.m. to 3 p.m., and kids also have their own coloring menus. Children are not allowed in the bar area, and staff are diligent about reminding patrons as well as each other to tone down colorful language. Touchdown! With Veteran's Memorial Field and park nearby, along with Yum-E Yogurt and a KCLS library branch kitty corner to the restaurant, there are lots of options for kids to take a break and stretch their legs. If you've been wanting to check out the awesome new school-turned-hotel in downtown Bothell, game day can be your chance. 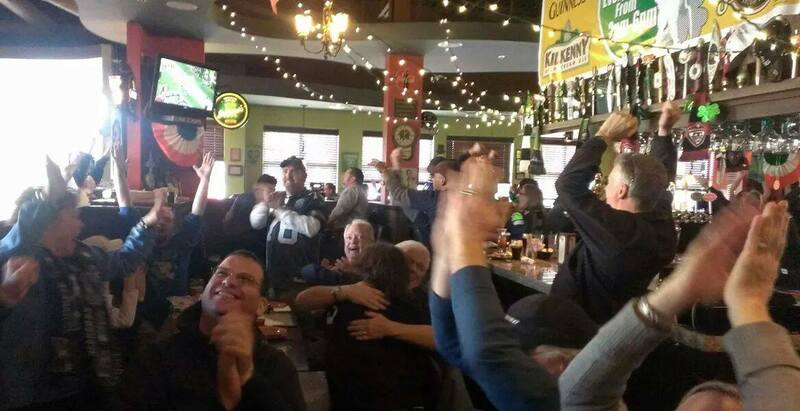 Ground zero for Seahawks-viewing is the Woodshop, a bar designed in the the school's old woodshop space. 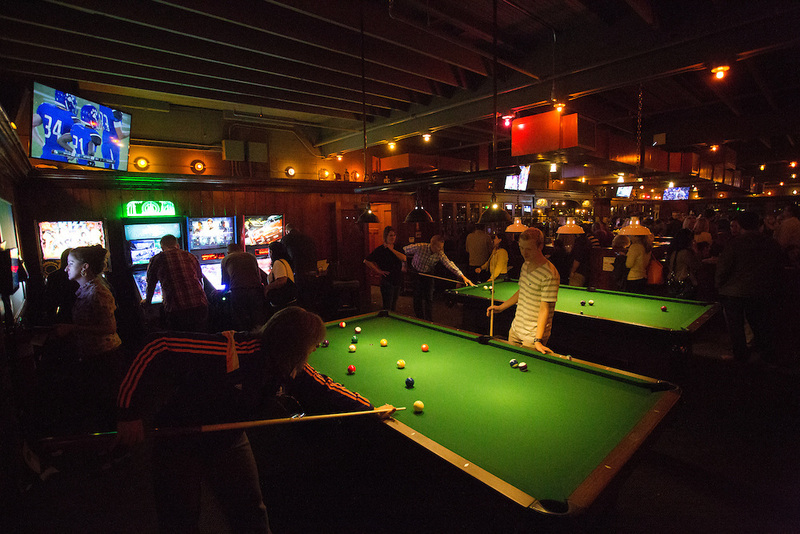 It boasts flatscreen TVs, shuffleboard, pinball games and pool tables, a pub fare menu with McMenamins brews (try the Woodshop IPA, natural beef burgers and more. (Note: Kids are allowed in all venues, but there are some restrictions, such as not being allowed to sit at the bar.) Read our complete review. Touchdown: Prior to the game, you might start with a swim in the McMenamins community pool or a movie in the all-ages, upscale movie theater, and definitely take a gander at the art-tastic hotel, where you could even have a beer (or coffee) in the old principal's office. Pubs in Ireland are gathering places for young and old, and O'Donnell's friendly staff and décor reflect similar values and traditions. O'Donnell's offers many Irish favorites including a vibrantly seasoned corned beef and cabbage, shepherd's pie and homemade soda bread. It also has a separate kids menu if your little one isn't as adventurous. Touchdown! There are assorted chess, checkers and dominoes out to share, as well as Scrabble. Even tykes who can't yet read can spend a blissfully long time building up dominos and knocking them down. O'Donnell's also features a Tuesday night family trivia night. 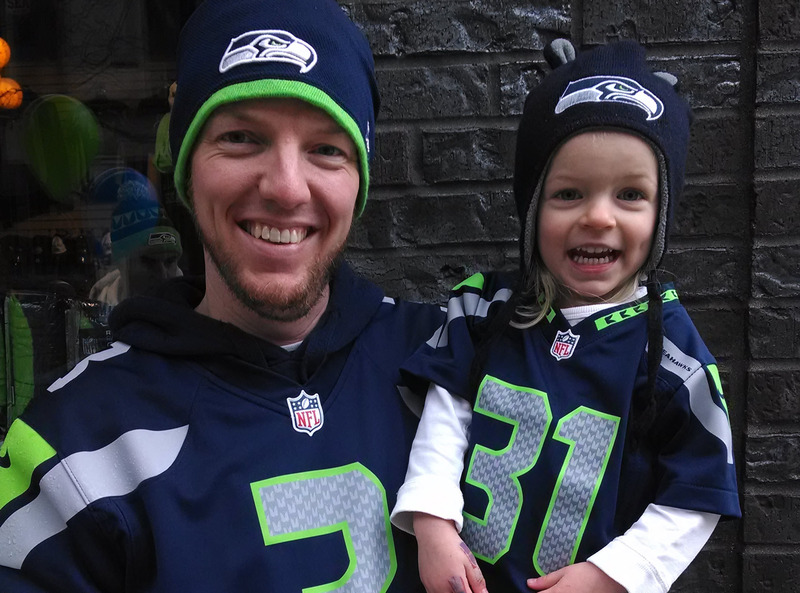 Are your 12th kids having a hard time waiting until the next game to break out their gear and show their Seattle pride? Here are a few events and opportunities to hold them until next kick-off. 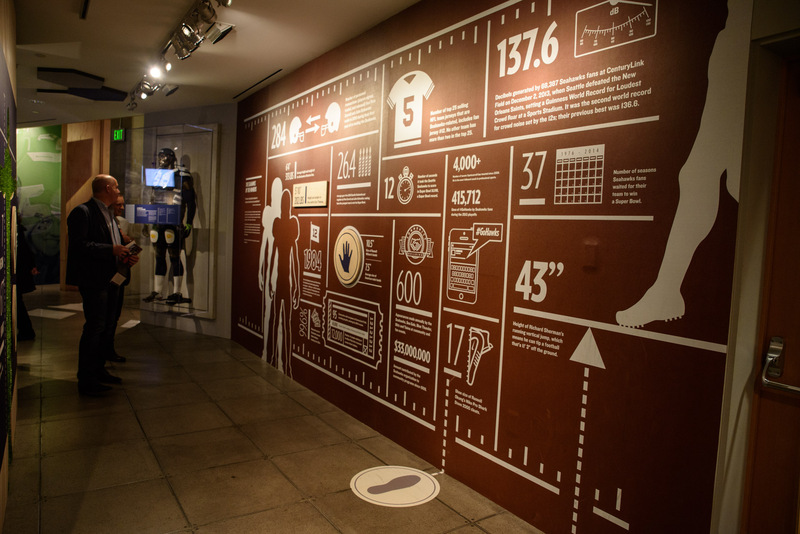 Head to MoPop for its We Are 12: The Seattle Seahawks and the Road to Victory exhibit that chronicles the Seahawks' path the super bowl in 2014 with cool artifacts and interactive stations. Kids will love that this exhibit celebrates the role of the 12s in the Seahawks' success. Get there soon because this display closes March 4, 2018. Tour CenturyLink Field: What's it like at CenturyLink Field when there is no game afoot? Walk on the actual field turf, visit sections of the field that normally are off-limits, and let your little ones imagine what it's like to be a Seahawk, with the cheers of 68,000 fans washing over them. Tours last about 1 1/2 hours and cost $14 for adults and $8 for kids (children under 4 free). Generation 12 Kids Club: Sign your kids up for this Seahawks experience and receive an exclusive Kids Club Kit that includes a Seahawks membership card (good for a year), Seahawks shoelaces and a Pro Shop discount card. Members also receive invites to special events and contests where they can meet Seahawks players. Meet a real seahawk: The Smithsonian Museum lays it out for you: a sea hawk is in essence, an osprey, but cool nonetheless. See an osprey in Washington: The Seattle Audobon Society shares information about the osprey, including the best times and locations for spotting one in the wild. Where did the Seahawks logo come from? The Burke Museum shares that the logo derives from a Kwakwaka’wakw (pronounced: KWA-kwuh-kyuh-wakw) eagle mask, which was previously on display at the Burke before returning to its permanent home at the Hudson Museum in Maine. Editor's note: This article was originally published in 2015 and updated for 2017.